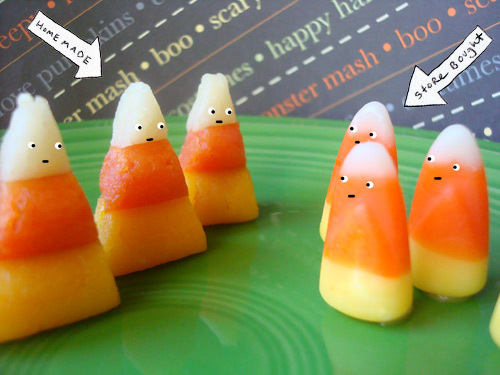 Where does candy corn come from? Had you asked me a week ago, I would have said "from a bag, of course!". But when my friends at Serious Eats asked me to make a homemade batch for my weekly feature on their site, I quickly embarked on a crash course in DIY confectionery. 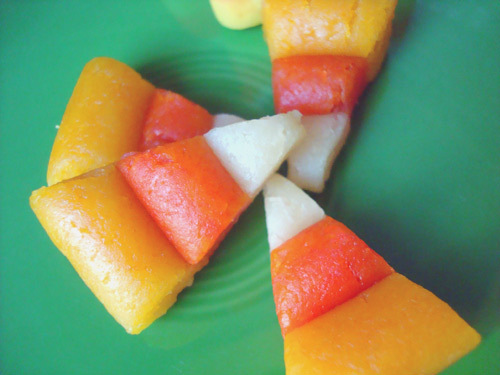 While commercially produced candy corn is made using hella machinery and takes 4-5 days to make, the at-home version is surprisingly easy (even for candymaking novices like myself! ), and far more flavorful than the store-bought type. Oh, and if you are so inclined, you could use the dough to make your own mellowcreme pumpkins too. Curious? You can check out the full recipe here.